I’m posting hurriedly from George Town, the capital of Penang, named after the chap who lost America. 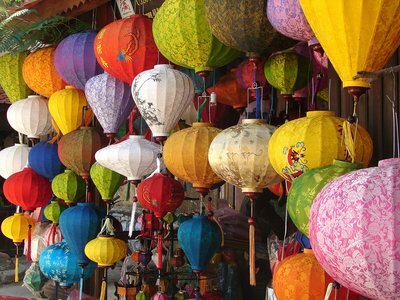 Penang is both an island and a state on the west coast of the Malaysian peninsula at the north end of the Malacca Straits. It was given to the East India Company by the Sultan of Kedah in 1786. He thought that the EIC would provide military defence in return; when the EIC declined, the Sultan tried to grab it back, and the EIC ended up renting the island off him. 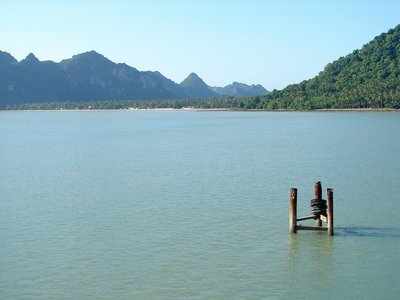 It was the first British base in Southeast Asia. I’m on an organised tour heading towards Singapore. Along with the five Brits are two South Africans, four Australians, two Canadians and a German. Here are the Solihull sisters. 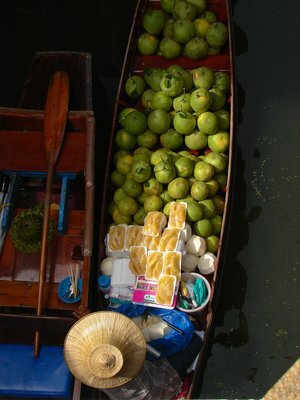 On the way we visited a floating market near Bangkok. 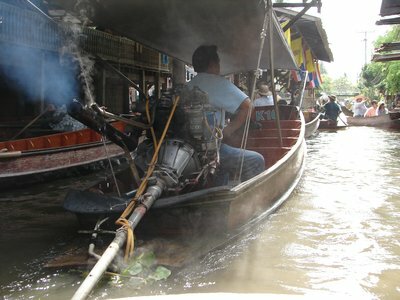 Most boats are paddled, but some puke acrid fumes over everybody. 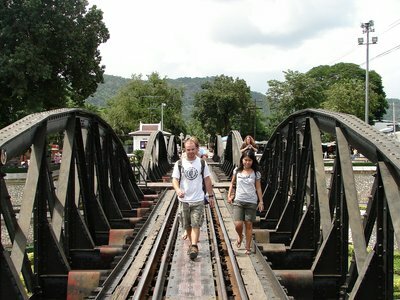 There is a good museum dedicated to the building of the Burma railway. 100,000 people died building it – 80,000 of them Asians. 42,000 out of 70,000 workers from Malaya died. They were Malay, Tamil, and Chinese. 40,000 out of 90,000 Burmese workers died. 6,904 Brits died (captured in Singapore), 2,802 Australians and 2,782 Dutch. 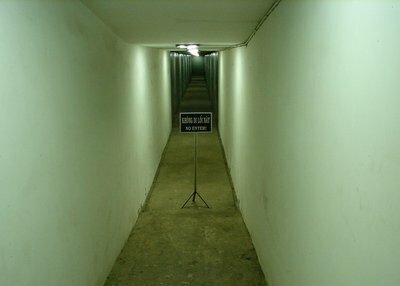 The Japanese kept accurate records of the dead westerners but did not bother with the Asians; not one Asian was buried in a grave in which his identity could be discovered. One thing I did not know was that the Japanese High Command gave orders that all prisoners were to be executed in the event of Allied landings in the vicinity. This order was carried out in Borneo and the Philippines. While waiting for a train at Nakhon Pathom we visited Phra Pathom Chedi, where Buddhism was introduced into Thailand from Sri Lanka. 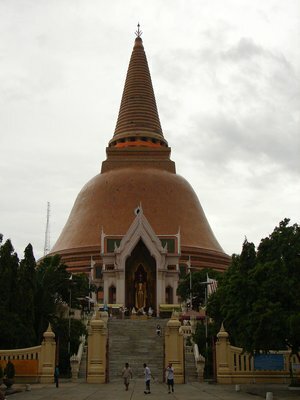 The stupa is 120 metres tall. Around the cloisters are statues of Buddha in seventy-something positions. 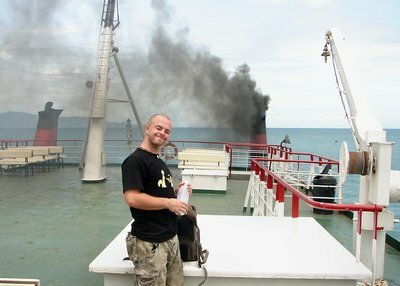 Then we took an overnight train to Surat Thani and a ferry to the east-coast island of Ko Pha Ngan, home to the full moon party. Fortunately we missed the party by a couple of days. We stayed in a fairly quiet bay on the northeast side of the island, a lovely spot. We did very little for three days and four nights. At night if you walked through the waves the plankton phosphoresced. I did a lot of swimming; one thing they are not likely to mention in the brochures is the sea mites. One day four of us went diving off Sail Rock. 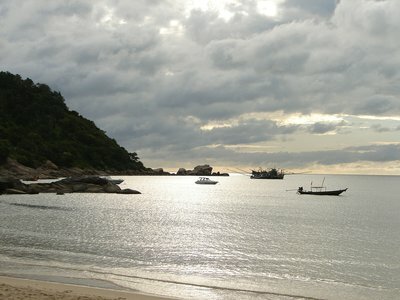 The fishing boats had come inshore the night before and it was blowing. There was good visibility, plenty of fish and some barracudas. I was sick ten times, which took the gloss off it a bit. Puking while floating in the sea requires a technique I haven't learnt so I had to do it underwater. The fish loved it. We’ve missed all the football. It’s on at 2.45 am Malaysian time. 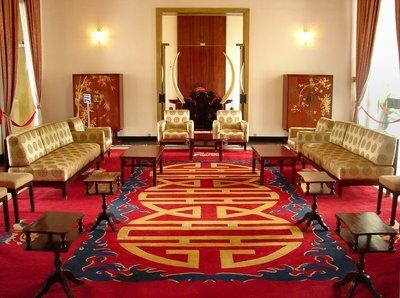 One of the most famous sites in Saigon is the Reunification Palace. An older palace stood here, but in February 1962, when even Diem’s own troops got fed up with him a couple of them bombed it, and it had to be demolished. The Independence Palace, as it was then called, was then built on the site. 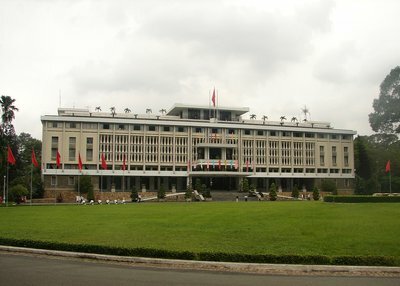 As the presidential palace, it was the place to which the North Vietnamese army rushed when it entered Saigon on 30 April 1975. Senior government officials, including Big Ming, were waiting for them, and the soldiers took them straight off to the radio station. One of the most famous photographs of 1975 captured two NVA tanks crashing through the front gates of the palace. I remember it. Except it’s a fake memory: I saw the pictures and footage often enough in my childhood for it to feel like a real memory. The building itself looks like a cross between a 1960s university library and the Council of Europe Building in Strasbourg. It’s also definitely a palace: there is a presidential receiving room, a VP receiving room; an ambassadors’ hall; a cabinet room; a 42-seat cinema; a helipad; a gaming room that looks like a Bond villain’s lair or the Moloko bar from A Clockwork Orange. And there are living quarters: a concrete cloister with a fountain in the middle and elephants’ feet and model boats by the walls. Renamed the Reunification Palace, it is still used for official functions but is also a museum, preserving the building as it was in April 1975. 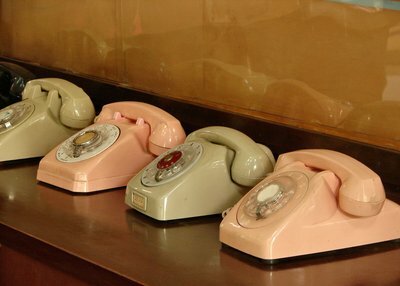 There are old-fashioned telephones in pastel colours and formica tables. Aside from the president’s office, which is rather dingy, it is a very successful example of architecture from a decade in which there were plenty of failures. Much more open to the tropical elements than your average faculty building in the Midlands, it’s airy in most areas, and beautifully decorated in a modern style. 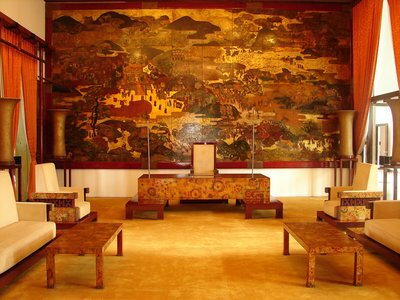 The ambassadors’ hall has an interesting lacquer painting covering one wall, depicting the great Vietnamese king-hero Lê Lợi. There are three levels of balconies at the front. They form a Chinese character; added to the central pillar, they form another one. The plan of the building makes another. The president’s library has the eclectic contents of a Hay-on-Wye bookshop: aside from a lot of Vietnamese books, Arthur Hailey; Henry James; CS Forester; Grahame Greene; Turkish Ceramics; Tennis World; Monuments de France. Not wanting to be rebombed, Diem built a bunker under the palace. (It didn’t do him any good. In 1963 there was a coup. 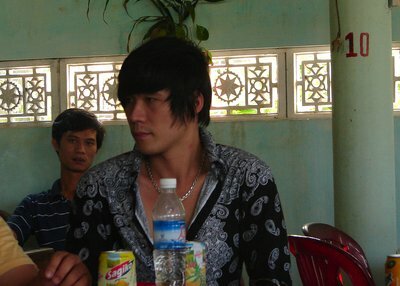 Diem retreated to the bunker and then ventured out to hide in Chơlơn, where he was found and murdered.) This was used as a war room, and there are fascinating maps of the war situation from 1975. There is also a radio station, telex office, switchboard, a spare bedroom, and a bombproof lower level. It looks like something from the Second World War. At this stage I was following a small tour group. An American family, the father excepted, were remarkably ignorant. After being told several times, they could not grasp who was fighting whom, or who was communist (answer: no-one; ‘we’ are socialist). Then we watched a video about how ‘we’ won – a logical impossibility after a civil war. Apparently the entire Vietnamese people were deeply saddened after the passing of Uncle Ho in 1969. Since half the country was fighting the other half at the time, I doubt it. Fortunately the video broke half way through. The War Remnants Museum mostly offers the usual shrilly mendacious exhibits, such as the hall of historical truth. I’ve gone about this before, but what particularly offends is the hypocrisy. For example, the exhibition cries that the South Vietnam regime breached the Geneva accords by singling out former Viet Minh fighters for reprisals. It doesn’t mention that under the same accords the Viet Minh were supposed to withdraw from South Vietnam, and didn’t. They also breached their undertaking to withdraw from Laos. There is a further exhibit on the prisons of South Vietnam, and especially on the ‘tiger cages’ of Con Ðao, previously known as Poulo Condore. The French built the prison and kept political prisoners there. In the American War VC prisoners were kept in appalling conditions, were subjected to torture, given inadequate food and some were summarily executed. By all accounts Diem made Pinochet look like Mandela. This is worth recording, and the exhibit lists the forms of torture in some detail. But equally worthy of note is the fact that after unification, the Hanoi regime continued to use the same prisons in precisely the same way. (Equally important in modern Vietnamese history are the three hundred thousand or so évolués carted off to concentration camps for “re-education”; and the more than a million people who were so desperate to flee the Socialist Republic that they risked drowning and piracy to sail away.) The rope suspension torture that I mentioned in a previous post is described graphically; it takes gall to condemn this in public while inflicting it in private. Yet again, any sympathy is wiped out by the tendentious presentation. •	That the aim was itself objectionable. 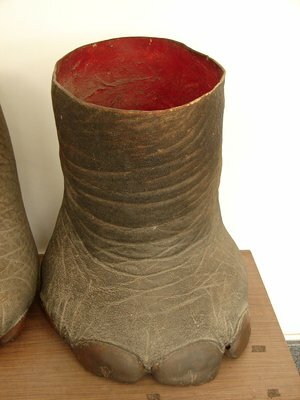 The exhibit says that the aim was to return North Vietnam to the stone age. Although General Curtis LeMay famously used that exact phrase, I don’t believe that it was in any way an objective of the US forces. •	That the means were not sufficiently related to the goal. The real objective was to block the Ho Chi Minh Trails and starve the VC of supplies. This is an ancient and generally legitimate tactic. But did the chemicals help? Yes: they deprived the VC of the cover they needed to operate without being discovered. It was strategically rational. •	That the means used went beyond the minimum necessary to achieve the objective. The US military sprayed 77 million tons of defoliants on south Vietnam, including about 20 million tons of Agent Orange. A vast proportion of land under cultivation was sprayed or napalmed. A fifth of forest land was sprayed. Sixty per cent of mangrove forests disappeared; most of the area between Saigon and Cambodia was sprayed; and most of the DMZ too. Not to mention Laos, which suffered even more. I am not in a position to judge, but this must be an arguable case. The manufacturers knew about the dioxins when they sold it to the US government. If the presence and horrendous effect of the dioxins was known to the US government at the time then the case would be reasonably easy to make out. There were, of course, other specific war crimes, notably the well-documented massacre of 504 villagers at Mỹ Lai, burning of villages, free-fire zones, throwing prisoners out of helicopters, cutting off ears for the body count (which the British also did in the Falklands), and so on. But the question here is whether the use of the chemicals was per se criminal. A similar question must arise as to whether the indiscriminate Nixonian bombing of Hanoi and Haiphong was disproportionate. Neither question will ever be answered in court, any more than the similar questions over the carpet-bombing of Hamburg and Dresden. No doubt this has been investigated further. I know that there were Congressional hearings into specific allegations of war crimes at the time, but I don’t know the outcome. That would require research, and I haven’t got time. Agent Orange is a roughly equal mixture of two phenoxyls: 2,4-dichlorophenoxyacetic acid (2,4-D) and 2,4,5-trichlorophenoxyacetic acid (2,4,5-T), chemical formula C8H5Cl3O3. They work by inducing growth so rapid that it kills the plant. The manufacturing process for 2,4,5-T releases dioxins such as n, 2,3,7,8-tetrachlorodibenzodioxin. (2, 4-D does not release dioxins and is still used as a herbicide.) The dioxins are associated with genetic defects and numerous cancers. In 1984 nearly 20,000 US veterans exposed to Agent Orange received a settlement of $180m from the manufacturers, including Dow Chemical and Monsanto. Australian, Canadian and New Zealand veterans also reached a settlement in 1984. A quarter of the children of Australian vets were found to be born with deformations. Korean veterans received $62m in compensation in 2006; this was a court award. Per capita, these are tiny numbers in relation to the damage caused. 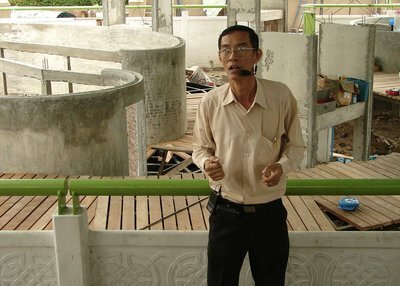 Vietnamese victims sued the manufacturers as well, in New York but the case was dismissed in 2006. The US government has offered almost no assistance to veterans or their children in relation to Agent Orange syndrome, let alone to Vietnamese victims. Others cannot sue because the government enjoys sovereign immunity. The Vietnamese government claims that 5 million people have been affected, but it is not clear how they arrived at this figure. In Cam Lo district, Quang Tri province (the DMZ), 4% of the population is said to be affected. The museum attributes every case of congenital blindness, peripheral neuropathy, spina bifida, birth malformations, cleft palates and even possibly Down’s syndrome to dioxins. But some children with such characteristics are born in any population, and you have to subtract that base rate from the rates observed in order to estimate the additional effect of dioxins. And you cannot say that any particular case is caused by dioxins. The museum doesn’t do any of that, so the numbers are overestimates, perhaps large ones. Of the two million hectares of forest land sprayed, half are “yet to be rehabilitated”. Much the best thing at the War Remnants Museum is an exhibition called Requiem. Organised by the Association of Photographic Artists of Saigon, a steering committee in Kentucky, Tim Page, Horst Faas, the Vietnamese Association of Photographic Artists and the Vietnam News Agency, it displays the work of the many insanely courageous photographers on both sides who died or disappeared during the conflict. They include such famous names as Robert Capa, Sean Flynn, Dana Stone and Larry Burrows. On the northern side, 76 photographers died. The exhibition includes several photos from Robert Capa’s last rolls of film, taken before he stepped on a mine, and good ones they are too, juxtaposing martial activities with agricultural. The display was even-handed and all the more moving for it. Some of the pictures were magnificent. They included Larry Burrows’ extraordinary Time spread of a bombing mission in which the pilot died: “One ride with Yankee Papa 13”. Other highlights: Henri Huet’s superb photos of medics in the field; Robert Ellison’s photo of an exploding ammunition dump at Khe Sanh (published in Newsweek the week after he was killed); and Gilles Carron’s pictures of Hill 875 at Ðak To. One thing I didn’t know is that the OSS – the forerunner of the CIA – helped to train the Viet Minh. Indeed the first American soldier to be killed was an OSS officer, killed by the Viet Minh by mistake. It makes sense: both were fighting the Japanese at the time (1945). It would not be the last time such a policy rebounded on the US. 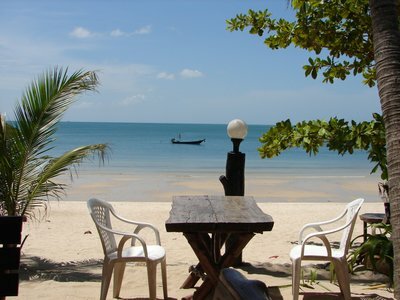 I’m in Bangkok suffering from a huge lull in motivation, I hope temporary. It may have something to do with the humidity. Instead I’ve been burning cash but have little to show for it. That’s what comes of hanging around the shopping centres. There are a number of food vendors among the market stalls just east of Central World shopping centre. One of them sells grilled insects such as crickets and cockroaches. Even hen they're deceased and grilled, I can’t bear to look at roaches. Don’t you know where they’ve been? And I’m not convinced that merely grilling a cockroach would kill it, if nukes don’t. So I went for a bag of crickets, with a little chilli sauce. They’re crunchier than a soft-shelled crab but not as crunchy as a prawn’s tail. They absorb the smoke of the grill and they taste a lot like pork scratchings - much nicer than a tepid sausage I had at the same time. They’re anatomically perfect down to the spiky hind shins, and they vary significantly in size. The largest ones have huge, downward-curving abdomens and they are more than a mouthful; I couldn’t bring myself to bite them in half. The Queen Saovabha Memorial Snake Farm was founded in 1923 to provide antivenins for victims of snake bites. It was the second such farm in the world, the first being in Brazil. 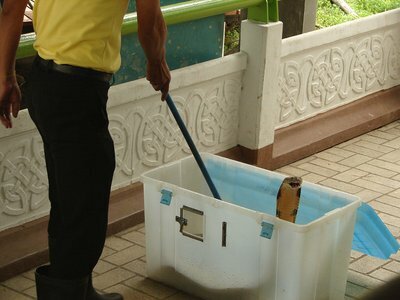 It is a serious endeavour and the snake farm is part of a local hospital and affiliated to the WHO. (They also give vaccinations and a rabies post-exposure clinic so I returned this morning to be jabbed with live encephalitis.) They milk the venom from the snakes and inject it into horses. They take blood from the immunised horses, extract the plasma and that’s it: antivenin in immunoglobulin form. 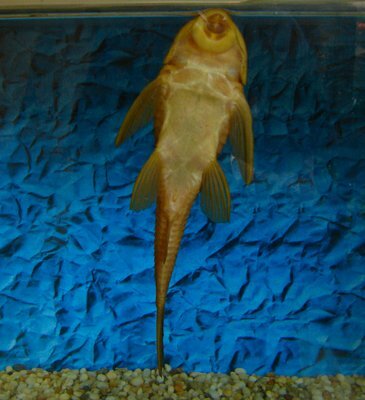 Some is kept in Thailand and some is exported. You can see the various snakes behind glass, but they also put on shows twice a day. 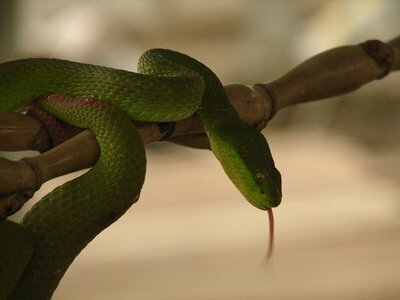 A loopy herpetologist with an ear-mike talks about the snakes while they show, in series, king cobra; cobra; banded krait; many-banded krait (perhaps); and white-lipped pit viper. Most snakes sense vibrations, so the best thing to do if you meet one is stand still. A pit viper, however, senses body heat, so the best thing to do is run. 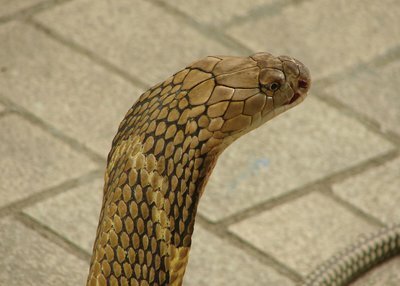 Cobras and kraits use neurotoxins; pit vipers’ venom causes tissue and blood clotting injures. 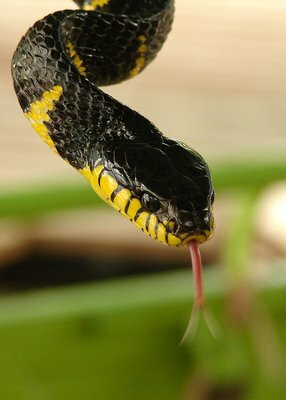 This is a white-lipped pit viper. 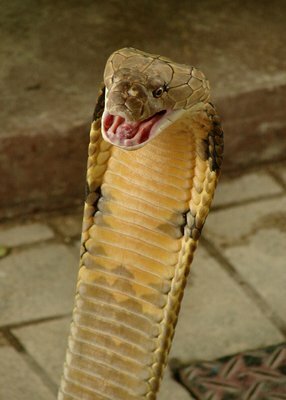 The king cobras are the biggest. 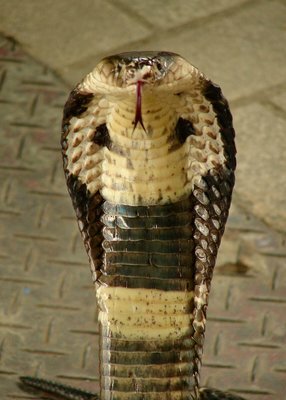 But scariest are the monocled cobras, which hiss. The snake handlers stand around in wellington boots and go just near enough to the snakes to cause them to rear up and display their naga hoods, to hiss and occasionally to strike. 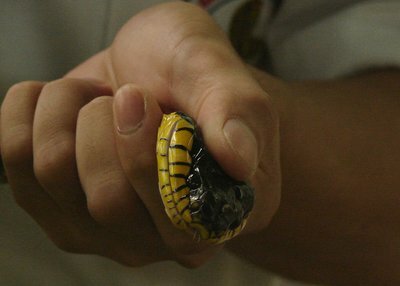 Then the handlers have to grab them to put them back in their box; that takes real skill and occasionally a handler will get bitten and perhaps lose a finger. They also showed us an Asiatic rat snake, a copperhead rat snake and a Burmese python. These are not venomous. 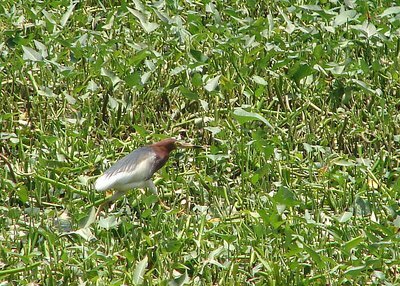 There is a project to increase the numbers of rat snakes in the rice fields because they eat rats (as do the farmers). 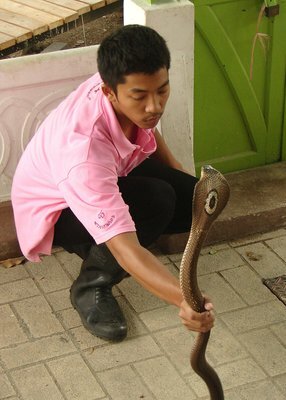 I think the snake I handled in the Mekong delta was a Burmese python. For some reason Australia has ended up with the most poisonous animals. It has the four most poisonous snakes in the world; the most poisonous spider (the funnelweb, at its most poisonous in central Sydney); and the most poisonous jellyfish (the box jellyfish). Monday was a yellow day in Bangkok. 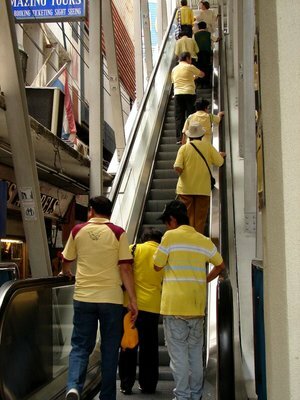 Perhaps half of the locals wear yellow T-shirts with the national crest on the breast. People here are hugely royalist and they sincerely love their king. (If any don’t, they stay quiet: it would be like professing Catharism at the Vatican.) They also wear orange plastic wrist bands inscribed with ‘Long Live the King’. On Monday a lot of yellow-shirted people came to Siam Square to participate in a demonstration against the Electoral Committee, which they say is corrupt. Tuesday was a largely pink day. On Sunday night as I wandered towards the Metro I smelt elephant. I’ve obviously learnt something on this trip. Sad but true: one of the most popular products on sale in pharmacies in Thailand, as in Vietnam, is whitening lotion. For Thais, the paler the skin, the better. Most westerners want a tan. We all want to be cafe latte. I asked the nice guy who sold me a replacement mobile (I’ve lost all my contacts, by the way) about the cheap i-pods. ‘Made in China’ he said. But do they work? ‘Yes. For a few months.’ I’ve bought one to replace one that disappeared in Sapa, but I can’t make it work. My Chinese isn't good enough. 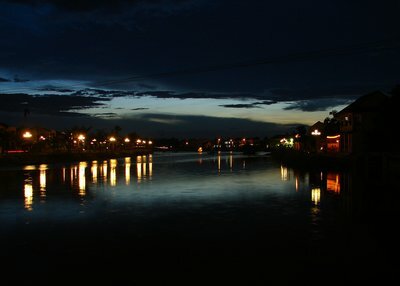 Hội An was the first foreign settlement in Vietnam. It was then known as Faifo to Europeans. Four hundred years ago it was an important trading centre, with trade routes heading from Faifo all over the world – particularly to China, Japan and India. The Dutch were there in large numbers at the time too. The Japanese and Chinese quarters still exist, and the Japanese covered bridge links the Japanese quarter to the Old Town. 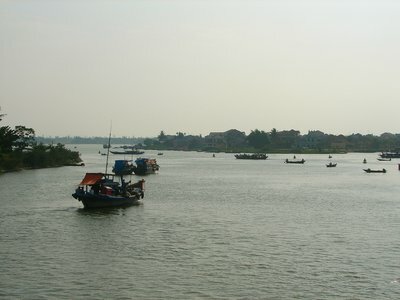 A couple of hundred years ago the town’s trade began to dwindle as the river silted up and Danang (known to the French as Tourane) took over as the major port. The money dried up, so a lot of the buildings are about 200 years old. The traditional merchants’ houses are wooden, with sloping roofs. The planks are orientated down the roof. The house is in several sections: a front section open to the public, a courtyard and then the private quarters, and then a kitchen area. The courtyard is a design classic, since it ventilates the building. Modern buildings, laid out on the same narrow plots, lack this feature and its benefits. Apparently the old buildings of Kyoto are very similar, and this may be no coincidence, since pottery from each municipality has been found in the other. The local government – prompted by its listing as a UNESCO World Heritage Site – has slapped severe planning restrictions on the buildings in the Old Town. 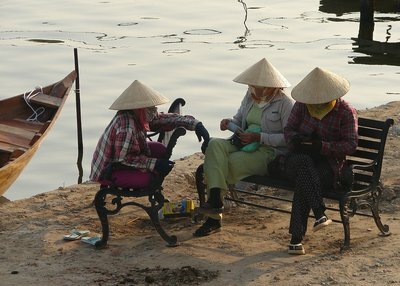 It attracts a lot of western tourists – few Vietnamese – and the town protects its collective commercial interest by restraining individually rational development. As I mentioned before, the town is blue and yellow. The boats are blue and yellow, the river is blue on a sunny day, and the houses are ochre. What with the water and the bright colours, it’s a rewarding place to take pictures. Here is the first batch; another batch will follow. On the bus to Hội An we were honoured by the company of Elvis. What's this? I asked a photographer with a a paparazzo lens. 'Vlha' he said. 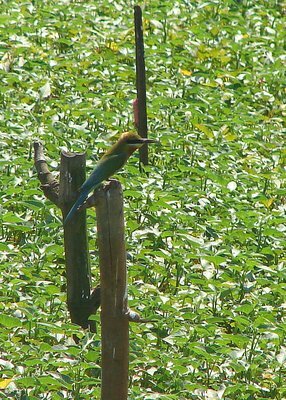 It means bee-eater in Czech. 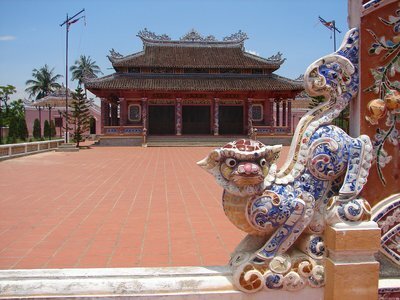 A Chinese temple at Hội An. There are quite a few of them. 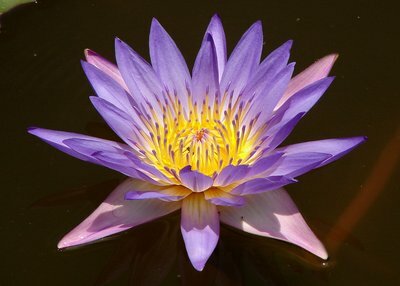 Waterflower at a Chinese temple. A remora at the hotel. 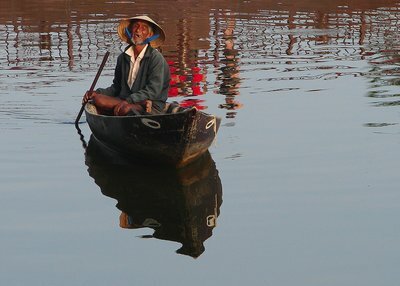 Ancient ferryman. Part of the town lies across the river, and another part on an island. You can walk there, but it’s very hot, so it’s easier to take a ferry. 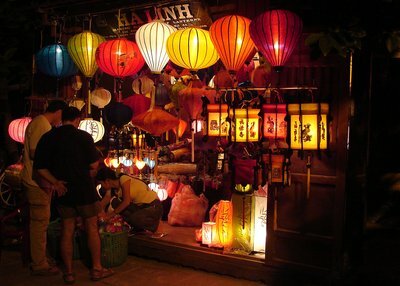 Vietnamese pay 1,000 dong; most tourists probably pay at least ten times that. I flew back to Bangkok on Friday the Thirteenth. I'm staying in the shopping district and agonising over whether to splash out on a digital SLR. Given the number of photos I take I think it ought to be done, but the prices here are comparable to those on line in London, and I wouldn't trust a warranty. I'll probably wait until Singapore. most people wear shoes instead of flip-flops. the Thais – at least the affluent in the shopping centres – are significantly fatter than the Vietnamese. Coconut milk, second only to polar bear milk in fat content, may have something to do with it. the watches and clothes on sale in the Siam Paragon are genuine! More interesting is MBK, which is like an indoor market with a younger clientele. Some of the shops on the periphery of the floor sell an 8GB i-pod nano for the official price of 7,590 baht. The stalls in the middle purport to sell the same thing for 1,000-2,000 baht - less than the price of 8GB of flash memory. How can both co-exist in the same market? The answer must be heterogeneous consumers who select themselves into different price bands. For the separating equilibrium to sustain itself in the face of such a price disparity, the cheaper product must be significantly inferior. Which means it can’t be the real thing: a fake, with pirated software. I intend to find out. Message from the USSR to Vietnam: “prepare to tighten belts”. The reply: “send belts”. On which subject, I am reminded of a remark I once heard attributed to JM Keynes, although I have not been able to find it since. There are two ways to tighten your belt. One, tighten your belt. Two, eat more. I hope someone will tell me if I’ve mentioned this before on the blog; I am becoming increasingly confused between conversations and the blog. Who Wants to be a Millionaire airs in Vietnam (and in Thailand). One of the questions had the following answers: (a) tau, (b) tau, (c) tau, (d) tau. The words were differentiated only by tone. 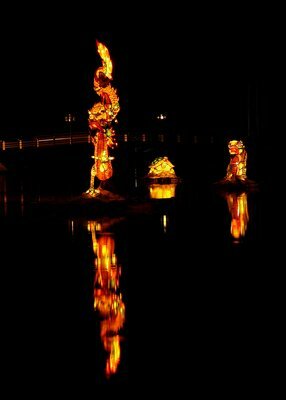 In northern Thailand, Laos, Cambodia and southern Vietnam, it is the rainy season. Most days, it rains heavily for about an hour a day; the rest of the time it may be cloudy or sunny. Yet almost every day the BBC weather forecast for Saigon and Bangkok gives 'rain' as the predominant weather feature. Rain for an hour a day is not a predominant feature; nor is a forecast a useful guide to conduct when it says the same thing every day.